Our shuttle bus links Yamagata Airport with Yamagata City in about 35 minutes and with JR Yamagata Station in about 35munutes. The timetable is fit for the flights. ※One child under 6 years of age per one adult passenger may ride for free. 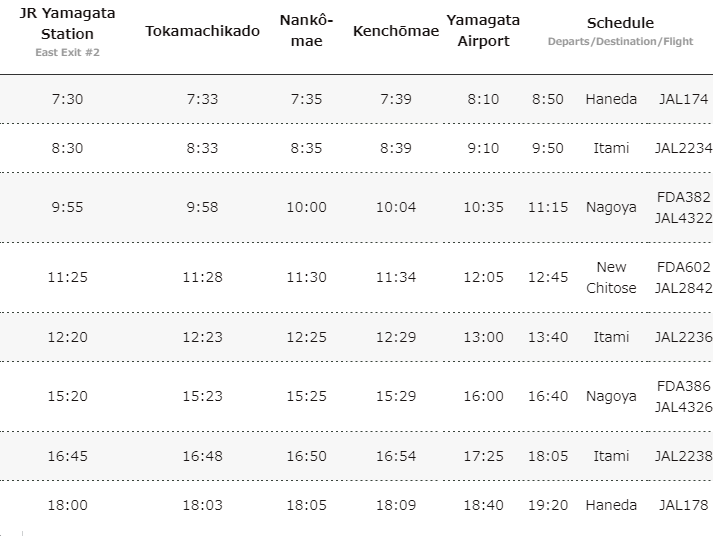 ※The weather condition or the traffic situation may change the timetable. ※In case the bus is filled to capacity, taxi is available at the same fare. It may take 5 to 10 minutes to wait. 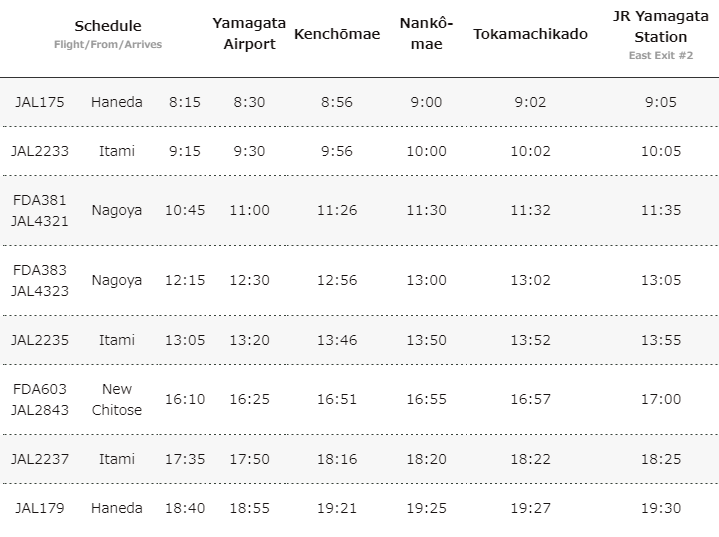 ※When the planes delay, the bus leaves approximately 15 minutes after the arrival flight. 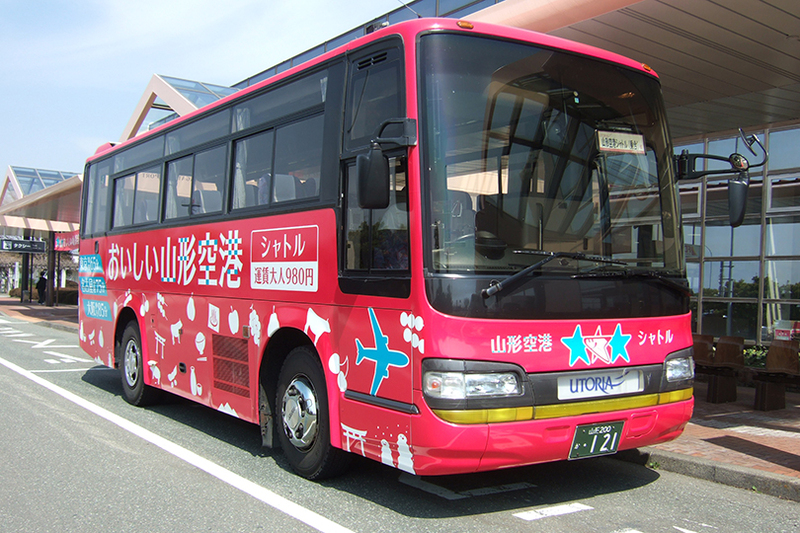 The bus departs from JR Yamagata Station East Exit Bus Stop #2 approximately 75 minutes before every departing flight. The bus departs from the outside of the front entrance of the Yamagata Airport Arrival Lobby approximately 15 minutes after every arriving flight. You can take the bus without any reservation. Getting on and off except the bus stop is not available. When you get on the bus in Yamagata City, getting off in the city is not available. Please pay the fare when you get on the bus, and take the receipt.